Take a tip from Halley Fortenberry and help your clients get in the perfect nail shape. 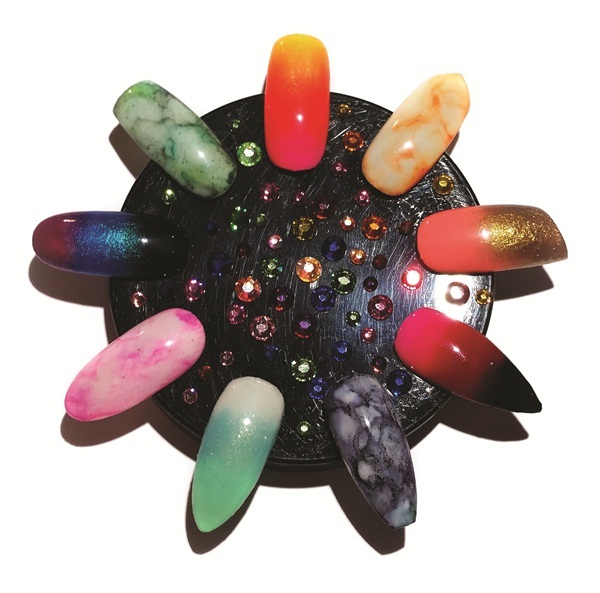 To help cut down consultation time, this Fort Walton Beach, Fla.-based nail tech got crafty and made a nail shape guide that she keeps on display next to swatches and awards. When it comes to recommending a nail shape to clients, Fortenberry suggests a shape that complements the natural curve of the client’s eponychium and says it’s important to keep a client’s hobbies and day-to-day activities in mind. To learn more tips and tricks from Fortenberry, visit her on Instagram @missexclusivenails.